One of the most exciting areas in Medical Research these days has to do with "Gut Flora". New research reveals the microbiome in our gut governs many of our body’s key functions and is vital to our overall health. Health experts believe our gut is the largest immune organ in the body. Therefore, many health concerns that we face today have been linked to excessive inflammation in the body and unhealthy gut flora. Conditions like acne, depression, asthma, autism, food allergies, and digestive issues may potentially stem from an imbalance in gut bacteria. A balanced microbiome regulates the immune system, digestive system, supports mood and brain function, and helps us maintain a healthy weight. Unfortunately, many of us today are unconsciously killing all our good internal bacteria through antibiotics, stress, and poor diet. 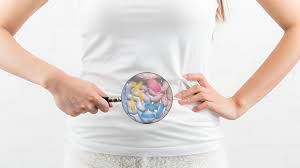 If you want to lose weight and experience the incredible health you desire, it’s essential that you begin by balancing the microbiome in your gut. One of the most effective ways to do that is by eating the right foods, especially fermented foods which are rich in live bacteria and help replenish the microbiome. Fermented foods have been dietary staples for thousands of years and have been used as natural medicine throughout history. Centuries ago, the Koreans developed kimchi, the Romans used sauerkraut to treat and prevent infections, and the Japanese have routinely served pickled vegetables with their meals. Fermentation is the metabolic process that naturally alters the composition of foods by converting carbohydrates into either alcohol or carbon dioxide, or organic acids using bacteria or yeasts. The bacteria that forms during the fermentation process actually eat sugar as their food and therefore fermented foods have less sugar content. Today, fermented foods are rarely consumed and therefore we are no longer getting the live probiotic enzymes from our food that our bodies need. Consuming fermented foods will help improve your overall health, remove toxins from your body, promote clearer skin, strengthen your immune system, improve digestion, increase nutrient absorption, balance hormones, increase energy, and prevent disease and fight off inflammation. Stayed tuned to learn more about fermented foods and healthy eating advice.